Bring a chair and watch from many locations on the course. Fountain Square has sharpest turn on the course with some crashes. Main Street Pizza has curbside dining from breakfast to diner on the final straight before finish. 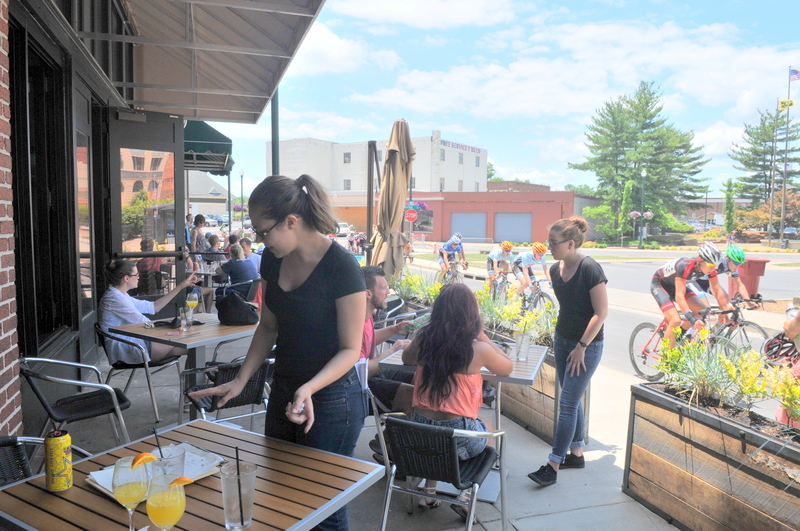 On the same final straight is curbside seating at Johnson City Brewing. 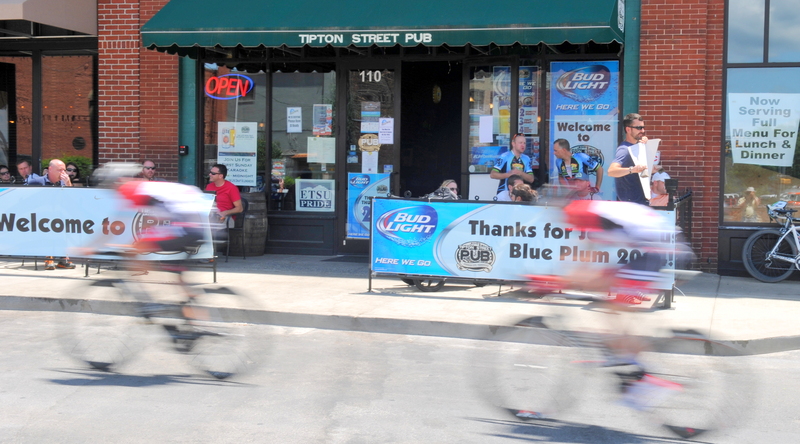 Tipton Street Pub and Labels with curbside dinning for lunch and diner with tightest area of the race. Best for announcing and to see the very close finishes be at the Start/Finish on State of Franklin. In the Pro-Am races the racer leading in points after the first two races on Saturday will be wearing a race leaders white jersey. This makes the strategy for the race to be two fold, win the criterium which has it’s own prizes and/or collect the most points for the three races with it’s equal prize list.